Banff Centre's webcam provides a live view of the Shaw Amphitheatre and Kinnear Centre for Creativity & Innovation (right), in the heart of Banff Centre campus. To the northeast, Cascade Mountain provides a stunning backdrop. During summer months, the amphitheatre hosts audiences of 1600+ at music concerts and live performances. 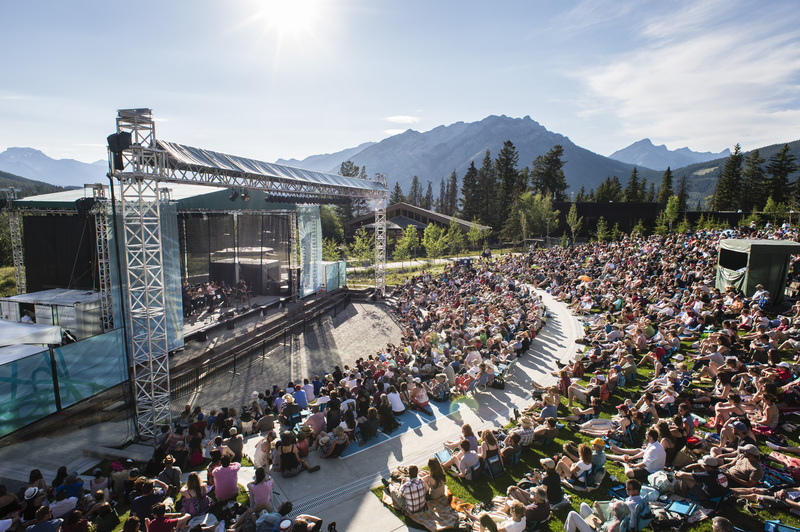 With such a diverse campus and beautiful spaces, Banff Centre is proud to offer over 400 events per year in a variety of disciplines. Check out concerts, film screenings, talks, dance, opera, theatre performances, art exhibitions, and open studios. Both paid + free events are offered and always open to the public.